Are you looking for something really refreshing to drink this summer? 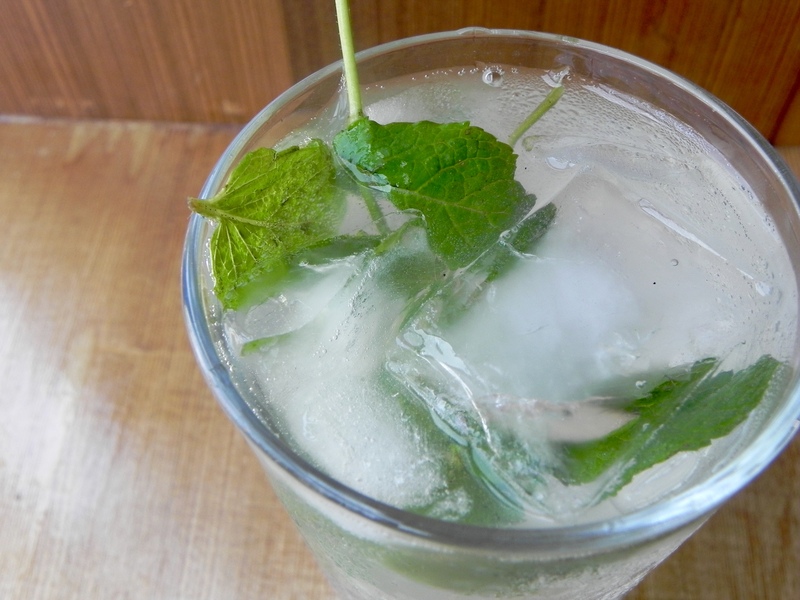 I know what you need: ½ lemonade, ½ fizzy water, poured over a couple stems of mint and ice in a tall glass. Delicious! You can go to the kitchen, pour it, and be back outside in a couple minutes. Less, if your outside door and kitchen are close. If you want alcohol in your drink, just add white rum. A pitcher-full is also worth making. Place 5 or 6 stems of fresh mint in a pitcher and then cover with a couple handfuls of ice; add wedges or slices of 1 lime. Pour in: 2 bottles of ginger beer, and fill to the top with lemonade. Give the whole thing a quick stir and be prepared for the spicy, tart, delicious, refreshing afternoon you are about to have. As with the lemonade-only version, just add white rum if you want to make an adult’s drink. If you haven’t had ginger beer, you can expect a surprise! It’s very spicy from the ginger and really not like a beer at all. Its not alcoholic, but rather like ginger ale to the max. I find that mixing it with lemonade or even other thick juices like mango or orange juice are a refreshing way to drink it; it’s a sipping beverage, not a quick-gulping, thirst-quenching drink. Which is why a pitcher-full on a hot afternoon is great, especially with a few guests and a dish of salty snacks.